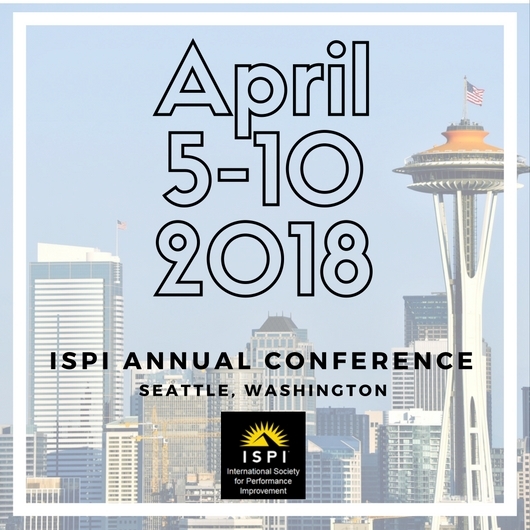 ISPI’s 2018 annual conference will be held April 5-10 in Seattle, Washington. The conference theme is “Meaningful Work by Design,” focusing on the application of design thinking to performance improvement, and how to create and sustain meaning at work. It’s a way of expanding our thinking about the practice of performance improvement, and achieving extraordinary results for the people, departments and organizations we work with. The full conference program will be available November 15. For more information, click here.